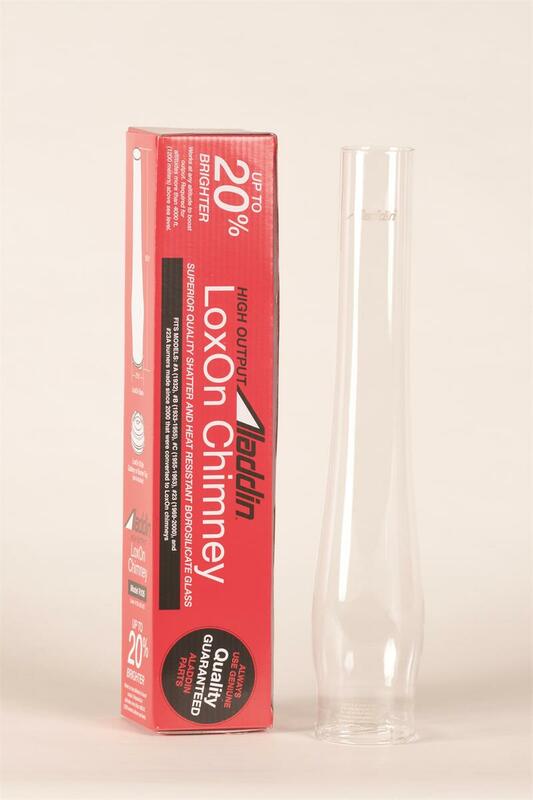 The Aladdin High Altitude chimney is designed for use in applications over 4,000 feet in elevation. The chimney has been engineered to be installed on Aladdin Kerosene Mantle Lamp burners 12, A, B, C, 21, 21C, and 23. Installing a High Altitude Chimney at sea level can increase light output by 20%. Place bottom of chimney into top of burner gallery and turn to right to lock. Use light finger pressure so as not to over tighten the glass. Bend the metal tabs of the gallery outward slightly if needed. 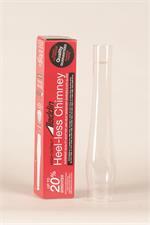 Too much pressure on the glass will cause the chimney to break while in use. Made of borosilicate glass. Made in China. Overall height 15". Chimney features black stylized Aladdin lamp logo that cannot be removed.